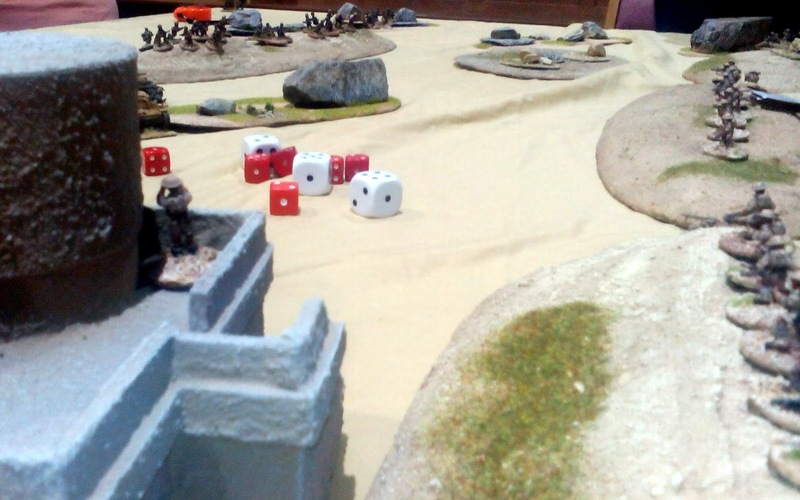 A game of Bolt Action 2, organised by Keiron and GM'ed by Matt who also provided the terrain and models. Scenario is a simple German assault against a British position on a ridge-line in North Africa. The Germans had a mixture of Panzers and troops, while the British had Infantry and a single Anti-tank gun to start with. The Artillery spotter had little luck in calling down barrages, and the mortars were hit and miss as well. Meanwhile the Infantry on the ridge had started mounting up the dreaded pin markers, despite going 'down' for cover on multiple occasions. I don't think there was a single attempt to 'rally' the troops all game, or keep the down marker for a full turn, which also has a morale boosting effect. Keiron preferring to try and shoot the rapidly approaching enemy instead. 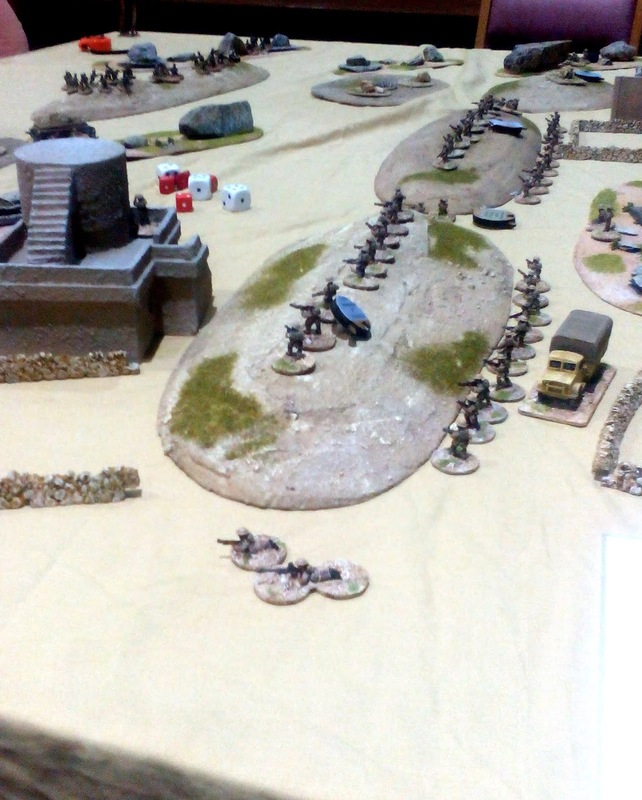 The Germans sent a Panzer onto the flank. The multiple assaults on the tank had mixed results, with only one of the three attempts resulting in a pin. Meanwhile fire from the tank took out both the Boys AT rifle and then the Matilda which belatedly came on as reinforcement. 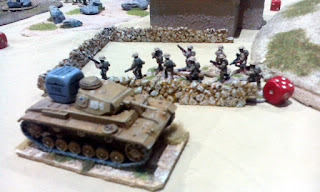 With the Matilda being knocked out there was nothing to stop the Axis armour using their MGs and cannons on the beleaguered Tommies, and they advance with infantry support onto the ridge.